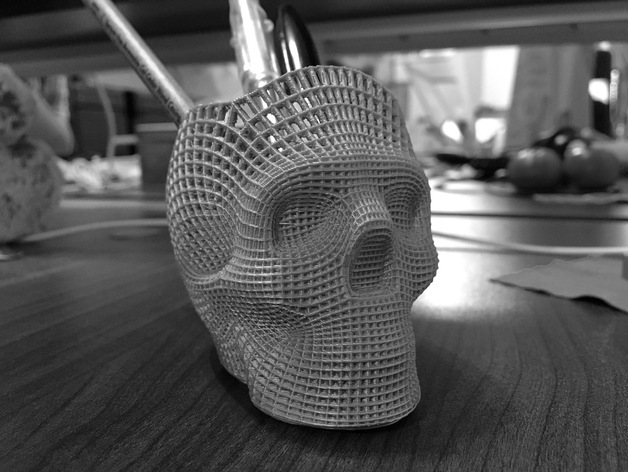 I remixed a neat Skull model from garygeo on Thingiverse into this much cooler wireframe mesh pencil holder. It’s free. One of the best things about Thingiverse is the ability to post pictures of your finished prints of other folks designs.